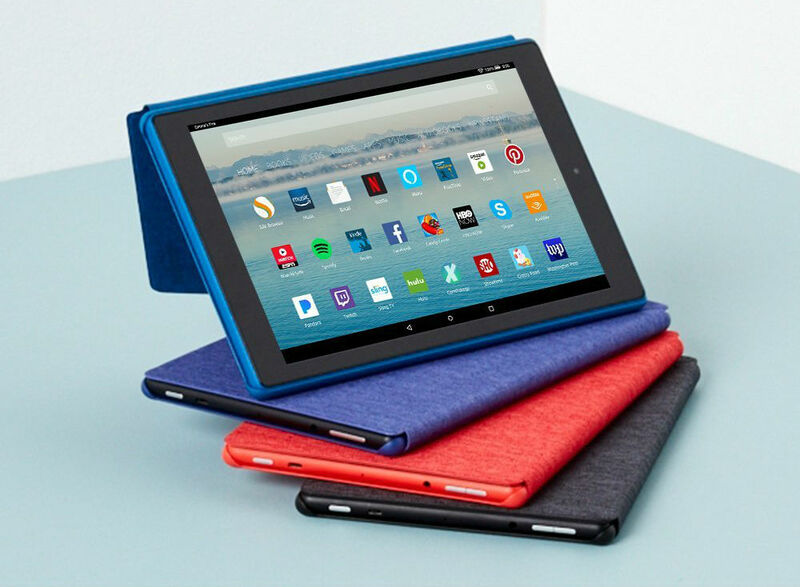 Amazon announced a new tablet this morning, the Fire HD 10. Coming in with a 10.1″ FHD display and quad-core processor with 2GB RAM, the tablet is up for pre-order at just $149.99, with shipments beginning October 11. The feature to highlight on this particular tablet is Amazon’s inclusion of hands-free Alexa. This is a first for Fire tablets, and with it, users can do all of the same Alexa stuff that they can do on an Echo, but on a tablet. You can control your house lights, pause videos, look at your home security cameras, plus a whole lot more. Other things worth noting are the MediaTek quad-core processor, 2GB RAM, 2-megapixel rear-facing camera, and microUSB port on the bottom of the device. These aren’t necessarily the things you’re looking for in a new device, but at $150, were you expecting something else? Here’s a full look at the specifications. If Amazon’s latest interests you, follow the link below to get your pre-order in. Video: Galaxy Note 8 Review!